The Islamic Cultural Centre holds its Annual General Meeting 2017. 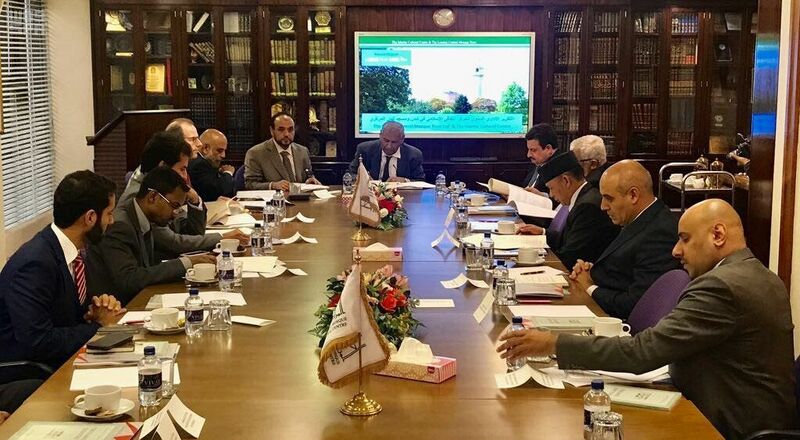 The meeting was attended by ambassadors and delegates from more than eleven Arab and Islamic embassies in London. The meeting was chaired by Ambassador Khaled Al-Duwaisan, Ambassador of Kuwait to the United Kingdom. The meeting was attended by HRH Prince Mohammed bin Nawaf Ambassador of the Kingdom of Saudi Arabia. The trustees greatly appreciated the activities of the Centre and its work during the past year and the achievements of the Centre, which resulted in an increase in the services, cultural, educational and social services provided by the Centre to the Muslim community in Britain, including the teaching of Arabic, programmes for new Muslims and the Arab Cultural Salon and courses and the Weekend School and School Visits, The ISlamic Quarterly Academic journal, Publications, book distribution and collaboration programs Community Organisations and with the Home Office and the British Charities Commission to name a few. It is noteworthy that the center receives more than 15 thousand British students in one year and includes a permanent exhibition on Islam. The center distributes the Holy Quran in thirty languages, including 371 students and 150 students of the Arabic language. Dr. Ahmed Al-Dabayan, Director General of the Islamic Cultural Center, stressed the most important orientations and areas that the Center has taken in its services. These include: "Activating the Role of Women in Islamic Societies and Attracting Youth in Intellectual Dialogue and Activists to Present Islam to them in a Clear Way Away from Extremism and Violence" To promote tolerance and good relations with each other by promoting dialogue programmes. In addition, the Director of the Center summarized three important initiatives: The Green Project to protect the environment, the promotion of charity and righteousness through protecting the environment, the establishment of the Hindu Islamic Dialogue Forum and the Sikh Islamic Dialogue Forum to build bridges of coexistence and the true definition of Islam. Prince Mohammed bin Nawaf expressed his admiration for the green project, which will be launched soon. 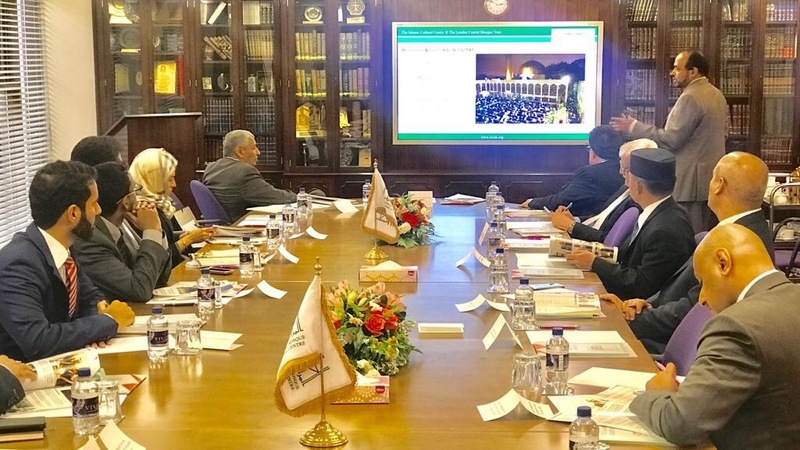 He stressed that environmental aspects are sometimes forgotten by individuals and that Islam is a comprehensive religion that cares for the environment and its care and conservation of natural resources.